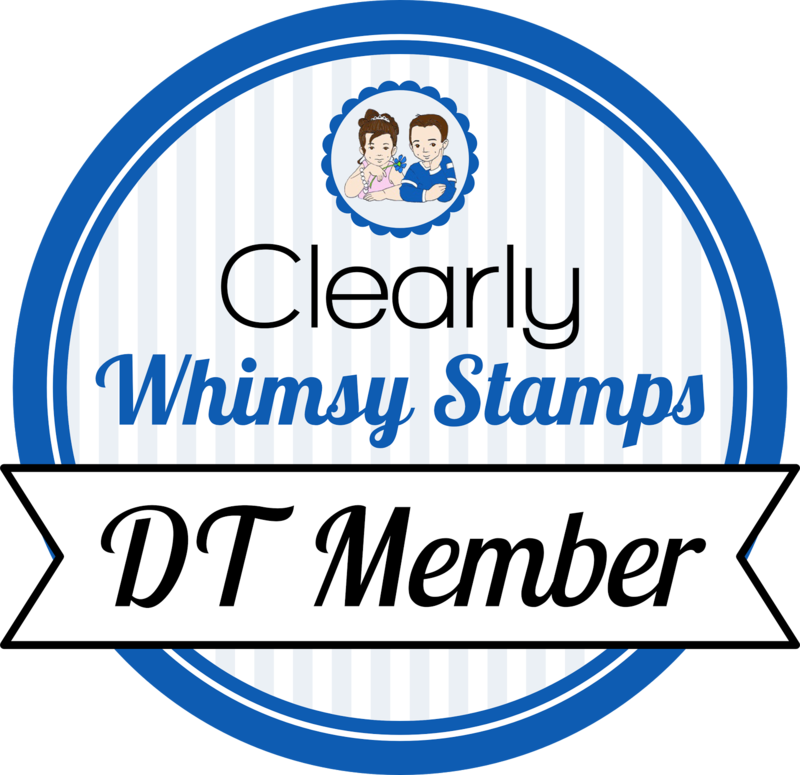 Welcome to the last day of the Whimsy Stamps February release. I hope you've enjoyed the look at the new products! Shop HERE and hit the blog for all the details HERE. I am showing you Typography today. I arranged the letters on three blocks, stamped the words and embossed in black first. 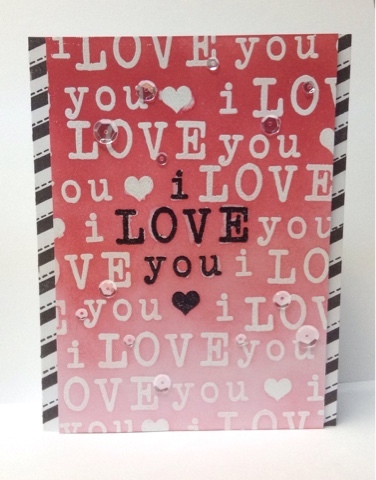 Then I went back and stamped and white embossed the rest of the background. I blended on one color of Distress Ink (festive berries) for an hombre look. I went over the hearts and the black embossing with spectrum glitter marker, and I noticed that it produced a shadow effect on the words. Cool! I trimmed the panel and adhered it on a white card base that I stamped with Get In Line. Some random sequins finish it off.